Become an excellent career consultant! What does a career consultant do? 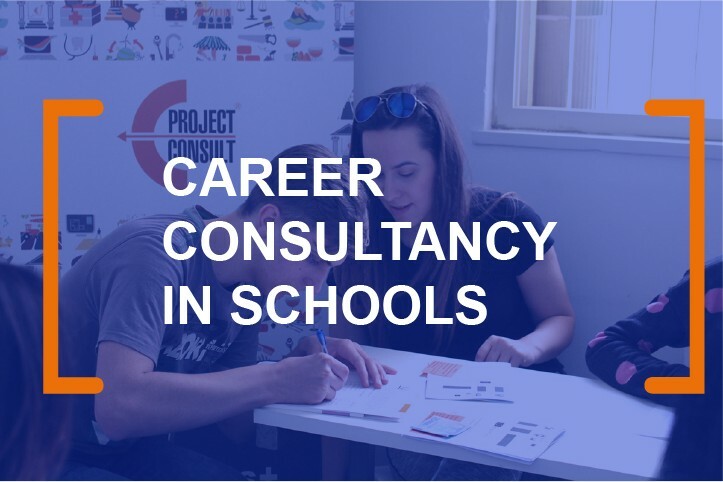 A career consultant becomes a very important person in a pupil’s life because it is the person who will assist the pupil in making one of the most important decisions in his life – what career path to choose? The career consultant has to be highly qualified in order to be able to provide professional assistance to students. His tasks include guiding pupils through college selection and admissions processes, assisting with paperwork, such as financial aid applications, and helping students to prepare for university admission tests. In addition to the technical part of the job, the career consultant must have excellent interpersonal skills, to be able to motivate and encourage pupils who very often feel confused and frustrated when it comes to decision-making. Another important part of the job is working with international students, ethnic minorities and the disabled in order to help these groups integrate and find the suitable career path. Target Group – Internship for VET students in the frame of Erasmus+ programme. Objectives – To prepare participants to be able to assist the pupils when making career choices: provide extensive consultations, work together in order to prepare excellent CVs and motivation letters, identify the best education institutions for every student’s capabilities and preferences. Methodology – This training course designed specially for secondary school and vocational school teachers offers broad theoretical background and hands-on activities. Informal discussions among the participants and recognized experts in the field, sharing of personal experience during informal coffee breaks, lunches, dinners, an opportunity to observe the work of professionals in the sector of career consultancy in the informal environment. Detailed Description – Teachers will be introduced to the specifics of career consultancy practices and acquire necessary skills to be able to guide students in choosing a career. Career consultant’s role becomes crucial because at a school age it is difficult to independently decide what career, university, or even high school/vocational institution to choose, therefore, qualiffied assistance becomes significant. Firstly, we provide a strong theoretical background on the subject, which is followed by practical activities, such as filling in career choice tests, observing and explaining their results, and creating CVs and motivation letters. The floor is open all the time for questions and sharing ideas in order to provide the best learning experience and enrich the knowledge of all participants. Training Outcomes – After the training, attendees are expected to better understand the specifics and challenges of the career consultant profession and become able to provide more professional and valuable assistance to pupils. Also, to become able to use critical thinking and skills gained during the workshops in order to solve difficulties and problems faced at work everyday. An important part of the training course in is the knowledge shared by local highly experienced experts successfully working in the field. Future and present career consultancy specialists will be able to apply the valuable tips received during the training on daily basis. This training will also expand participants’ career opportunities, as they will bring home experience and knowledge from abroad that will make them more prospective employees not only at their home country but also in the international labour market.